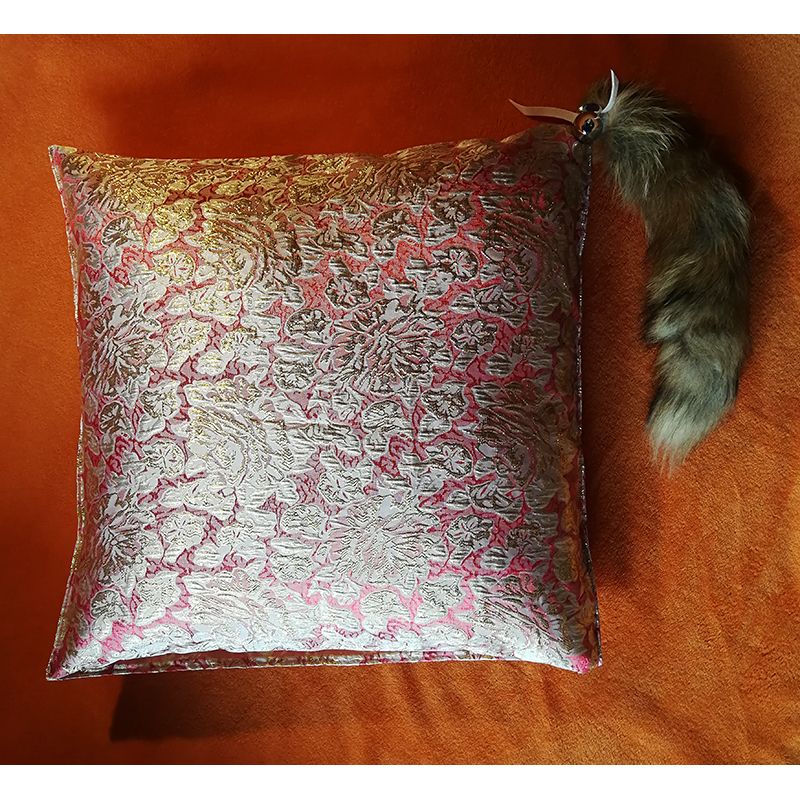 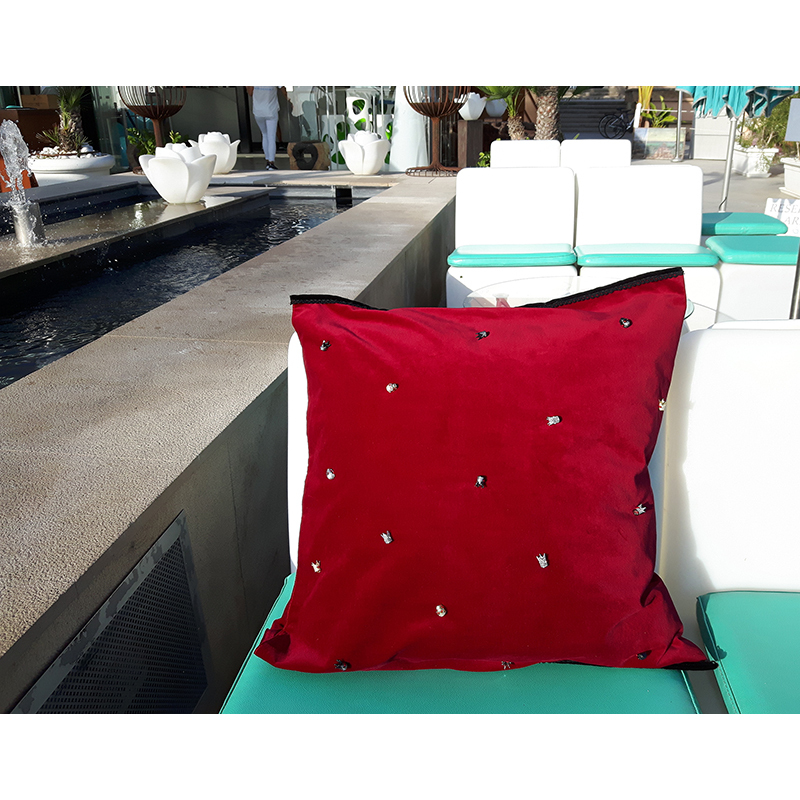 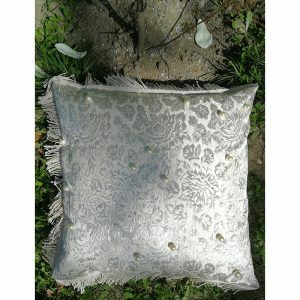 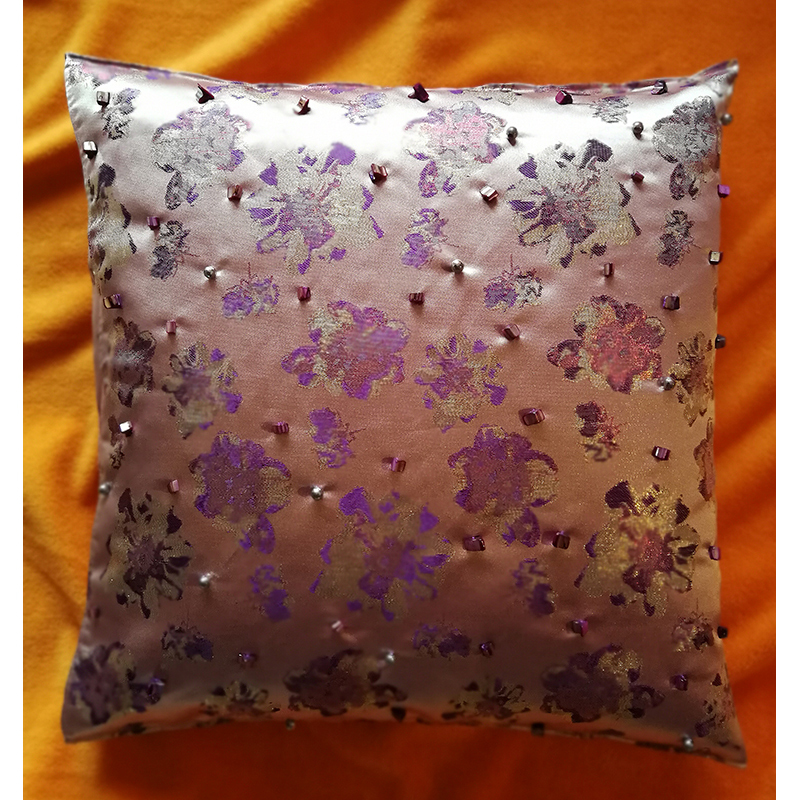 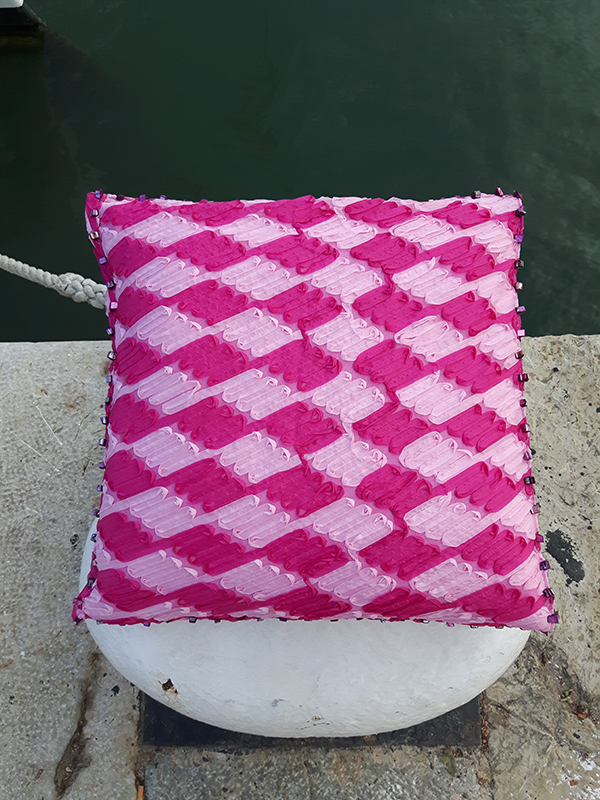 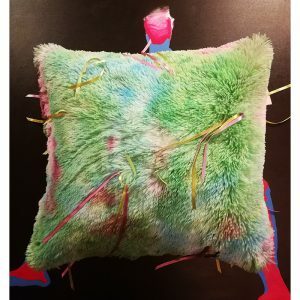 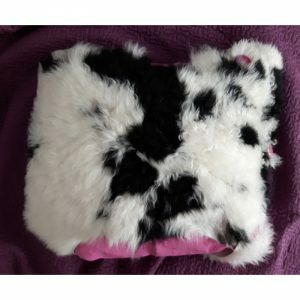 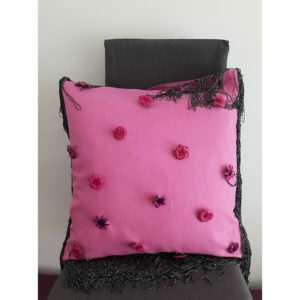 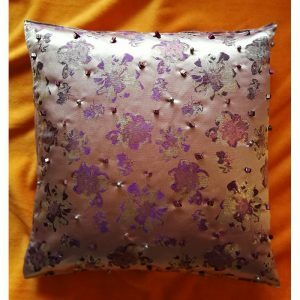 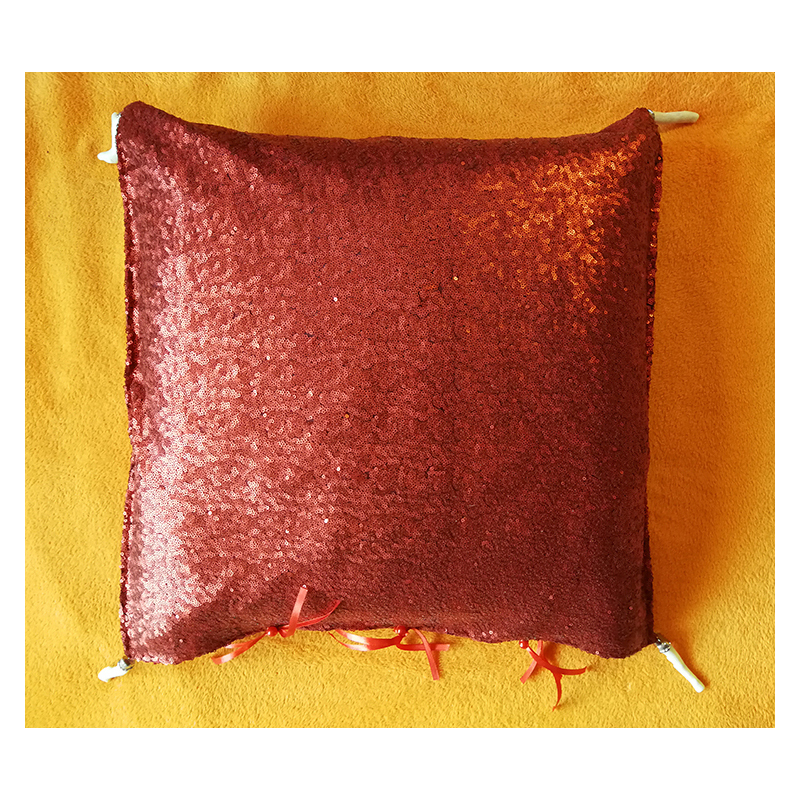 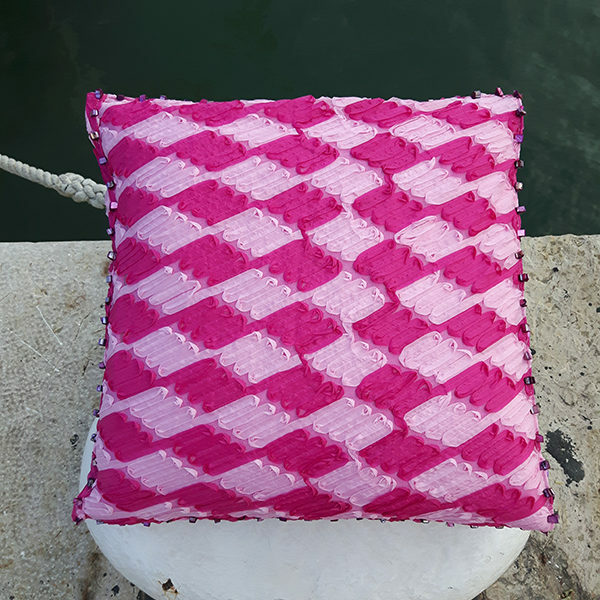 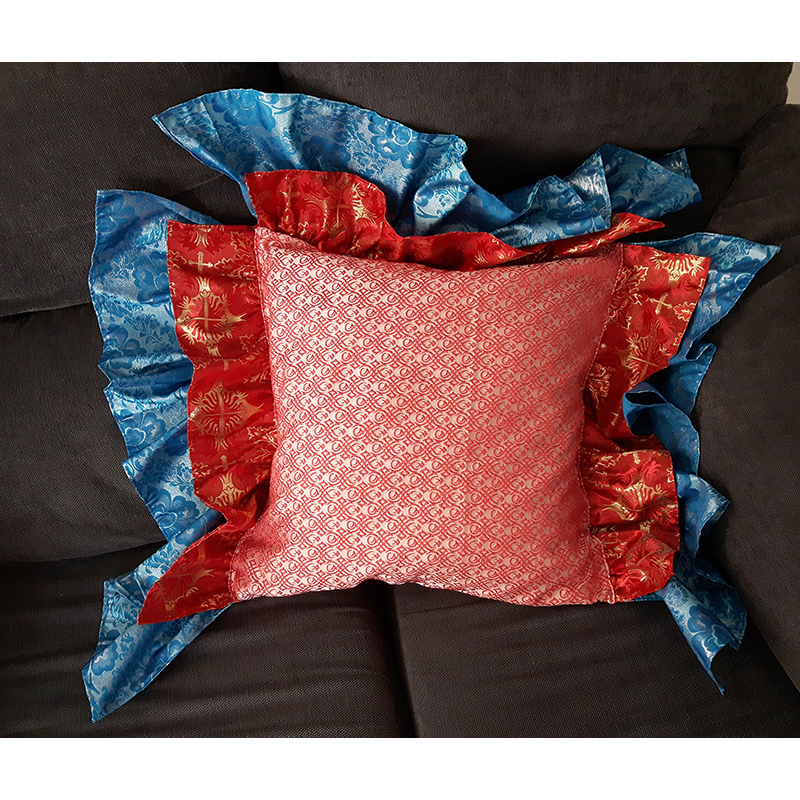 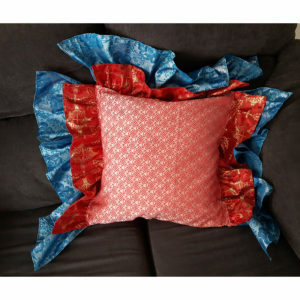 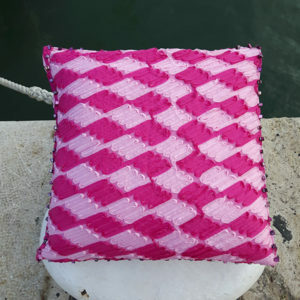 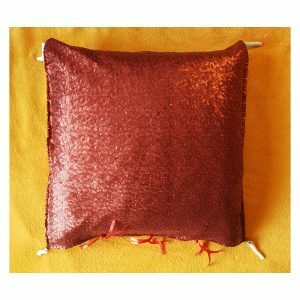 Decorative pillow for your interior. 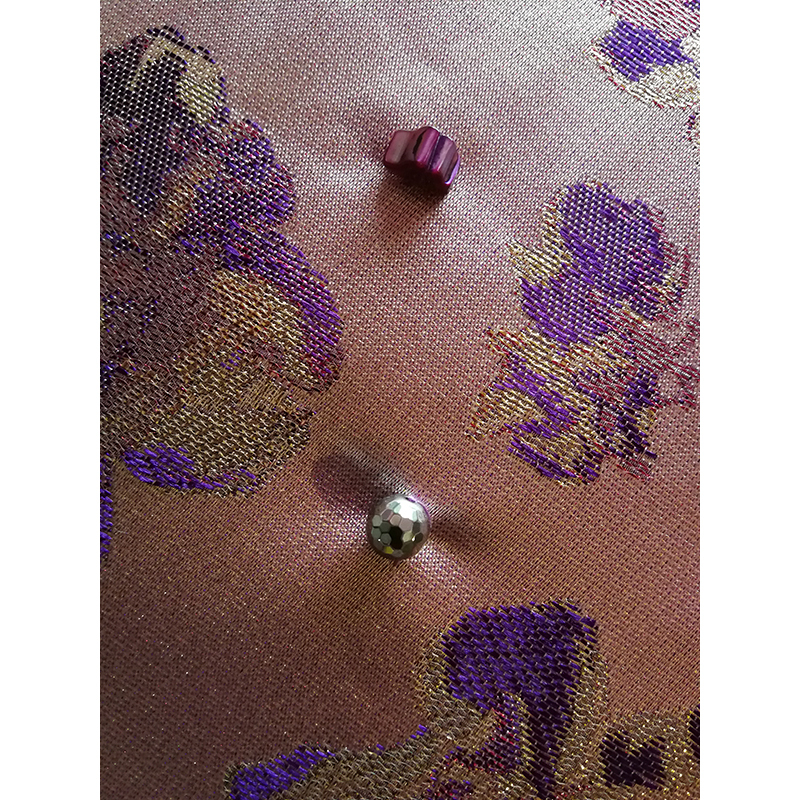 The coating on the overlap is made of shiny synthetic fabric with floral motifs in soft colors of violet and gold. 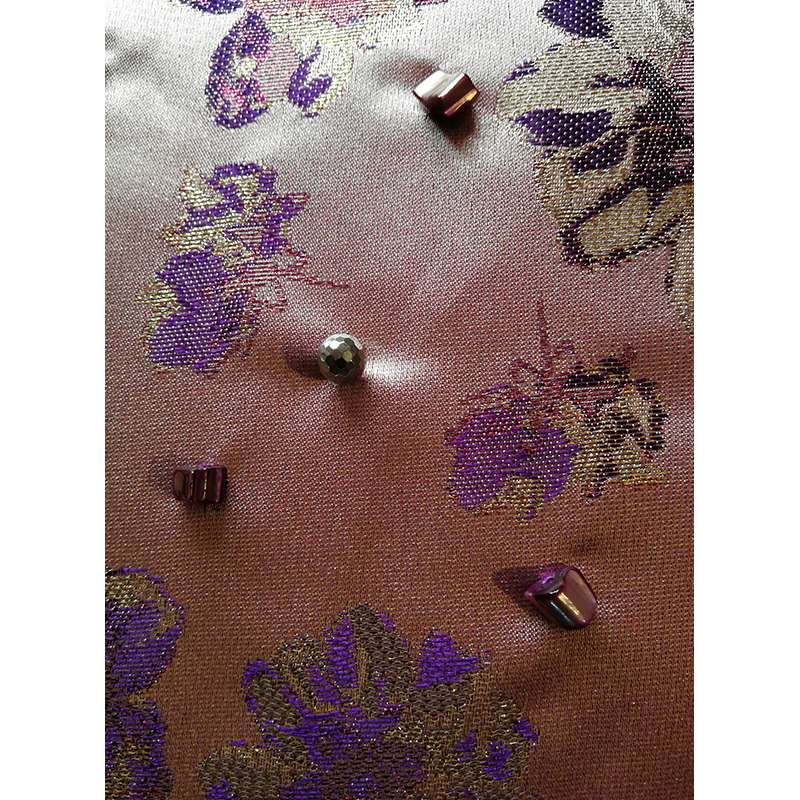 On this material from both sides are sewn decorative plastic beads in shades of purple and beads of natural hematite.